Topline Fishing Charters offers guided redfish and speckled trout trips for all levels of anglers. At Topline Fishing Charters we go out of the way to make sure your fishing adventure is one you will remember for a lifetime. It doesn't matter to us if you're a veteran fisherman or a first time angler, we will do whatever it takes to put you on the fish and make sure you have a great time on the water. 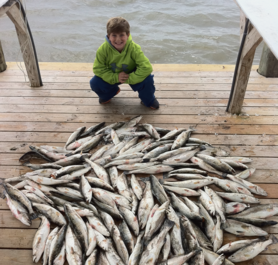 Our fishing charters are primarily run out of the Houma or Cocodrie, Louisiana area, but we are capable of fishing many other coastal Louisiana waterways.